Women cannot always depend on their female leaders to be their mentors or role models. In fact, female bullies tend to target other women an astounding 70% of the time. Our good friend, Dr. Gary Namie, founder of the Workplace Bullying Institute, was recently interviewed by Good Morning America concerning the silent epidemic of workplace bullying. According to Dr. Namie, employees should not have to deal with an environment of fear and anxiety that leads to clinical depression and post traumatic stress disorder. 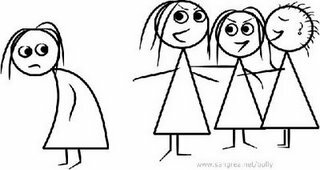 The effects of a bully’s treatment can last for the rest of a target’s life without the proper medical care. 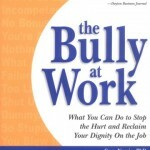 Why should business leaders be concerned about workplace bullies? These office terrorists present a significant bottom line issue. Bullying in the workplace reduces productivity, stifles innovation, squashes risk-taking and increases costly employee turnover. In fact, bullies typically target the best and brightest people under their supervision. In my career as a human resource executive, I have observed soccer moms turn into bullies by inserting a lucrative incentive compensation plan and a supervisor who rewards aggressive behavior. A certain number of working moms will set aside civility because in their minds they love those little kiddos and will bully their way up the corporate ladder to win the economic struggle in the workplace. Humiliation – Humiliating comments to the target in front of coworkers. Yelling – Excessive yelling intended to intimidate and cause anxiety and fear. Work Status – Undermining the target’s status by excluding them from meetings, email, important decisions, etc. Health – Negative health affects, i.e., high blood pressure, anxiety, fear, clinical depression, post-traumatic stress syndrome, etc. Even the reformed women bullies GMA interviewed were quick to give excuses for their behavior. It is likely a bully will revert to their behavior unless the office tormentor is willing to completely acknowledge the error of their ways, the harm they have caused, and truthfully admit their behavior was wrong. Bullying is never justified in business or life. Unfortunately, I did not see a sense of remorse in these women bullies in this report. As Dr. Namie states, “work should not hurt.” The results of repeated bullying can lead to clinical depression, debilitating anxiety, post-traumatic stress disorder, according to Namie. These are very high prices to pay for a job. Joan Frye, 62, the target interviewed by GMA, endured her bully for two years and now has suffered physically, mentally and financially because an employer was unwilling to monitor the work environment. After six years she is unable to work due to the mental torment. A great deal of emphasis is being paid to Healthy Work Environments. Typically, these programs concentrate on physical exercise, nutrition, weight loss, etc. Unless companies begin to deal with the workplace bullying epidemic, which will likely grow worse in the current economic climate, a healthy workplace will be a moving and unobtainable target. Note: My sincerest thanks to Dr. Gary Namie, founder of the Workplace Bullying Institute and author of The Bully at Work, for notifying us about this ABC News/Good Morning America story. We greatly appreciate the fine work Dr. Namie is performing for the worldwide workplace. Thank you so much for acknowledging this epidemic! I live in a small town and there is lots of this kind of intimidating behavior here. I am a nurse and I have seen the very kinds of behaviors in the medical field that you have sited. Now that I am approaching retirement age….I am experiencing agism too from the 30-something managers. The company that I work for now, sent a VP and an human resource person to our building last January. For three days, the HR person had employees meet with himself one-on-one. Time after time he heard the stories of “manage up and bully down” going on by our CEO. The VP went over records and interviewed the CEO. When the HR person held management training classes for managers, our CEO sat and rolled his eyes and swung his leg in boredom with no concealment from the HR person. The VP and HR person came back time after time. Next thing we knew, the VP had been moved to another region and the HR person left the company. Our CEO is at a “leadership meeting”‘ this week receiving an award. This guy is as good as OJ when it comes to getting away with stuff. There is no one for the Employees to tell now. As a nurse, I was recently put in a situation that was not safe for 2 residents. My CEO insisted on the situation. I was desperate and went to my regional Nurse. She was very much in support of me and the situation that I was in. She asked me to E-mail the situation to my CEO (though I had already talked to him) and to CC her. He came down on me with an explosive disciplineary action and nearly fired me. He was very angry that I had CC’d the regional nurse. She too had to back off and was amazed at how it got turned on her also. Our only hope is that he will be “promoted” and move on. I thought it was only me who have had terrible experiences at work with their bosses. My first job straight after University landed me in a terrible Accounting workplace that treated their staff like dirt. They overworked them and underpaid them. They were expected to come in on weekends and stay long hours after 5pm. They were also not paid a single cent for over time. I was quite surprised and I decided this would not be me. But as time went by I slowly got into this routine without even knowing. Overworking is a personal choice sometimes, as you want to complete your work and make your clients happy. However, disrespect and bullying at this workplace was so embedded that everybody just accepted their situation. The 2ND partner was the worst. She has had a baby recently and started working part-time. She would spend her time stabbing her employees in the back, gossiping about her own clients personal lives to everyone in the firm, watching youtube or spend time on facebook. Although she expected top performance from you PLUS a little more. If you don’t kiss her back-side as she walks in the door, she would make it her duty to ruin your life at work. One employee told me “Just do exactly what she wants, or trust me life is not worth living”. It was at that moment I realized how ridiculous this whole situation was. I pitied every fool who bowed down to such an incompetent woman and a pathetic workplace. We had a girl who was hired as a “Graduate” and worked here for 3 months, but she decided to quit. She had given no notice, although I found her crying and vomiting in the car park. She was taken into the Directors office and was yelled at for 2 hours for not attending a social event of the firm. She came out with her face red. There were several ‘closed doors’ incidents; until she gave up and quit with no notice except a written doctors certificate. She has gotten depression and they caused her to be ill. I too have had bad experiences within this particular workplace, although I’m grateful everyday that I have a mouth to stand up for myself. I have given them a month notice of the fact that I was quitting. Within that month I was yelled and embarrassed by the incompetent woman who people call her to be a “partner”. I’m glad because I knew then I had made the right decision. Perhaps I should have made the decision on my first 2 weeks, as this woman said I have “possum eyes” (meaning they are round and attractive). I have just laughed that comment off. My point is, that nobody should ever “Accept” a negative situation in their lives, and think that it’s OK for anybody to treat you bad. Because I consider myself to be an excellent hardworking employee. I have recently been given another employment opportunity by an Accounting firm and the team here is absolutely wonderful. We should never accept and stay within an unfair environment where they kick you when you are down. Always remember that these are just people, who were at a same position or perhaps worse at one time in their lives. I hope somebody gets to read my post and finds the strength within themselves to make a positive direction in their lives.